Today I’m taking a break from posting about my recent trip to Nicaragua to share the photos and stories of two boys for whom I am advocating. Both boys live in Nicaragua. If you aren’t already a sponsor, I hope you will consider sponsoring one of these boys, and helping to change their lives for only $38 a month. If you are a sponsor, maybe you have room in your family for one more special child. Jostin is 9 years old, and lives on the plains of Ciudad Sandino with his parents, who are both employed as laborers. There are three children in the family. Jostin’s household duties include caring for animals, making beds and running errands. He is in primary school, where is performance is average. He likes soccer, and playing with cars and marbles. I have visited Ciudad Sandino, and it is definitely an area in need. The average monthly income is $53. The population of the area is 120,000, and most houses are made of cement with iron corrugated roofs. There were bars on the windows of most houses I saw, and these windows did not have glass in them. Jostin’s birthday is November 2, 2005. Joaynnor is 6 years old, and lives west of Masaya City, in the community of La Concepcion. He lives with his parents, who are both employed as laborers, and there are four children in the family. Joaynner likes to play ball games, group games and bicycling. He is in Kindergarten, where his performance is average, and he regularly attends Bible class. His birthday is August 20, 2008. La Concepcion is an area with 40,000 residents, and typical homes have dirt floors, wood walls and corrugated iron roofs. The average monthly income is $95. If you are interested in sponsoring either of these boys, please contact me. 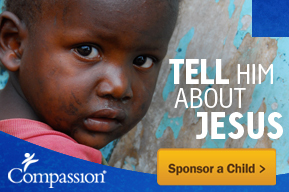 If you would like to browse Compassion’s web site to look for other children to sponsor, click here. I hope these boys are sponsored soon! !